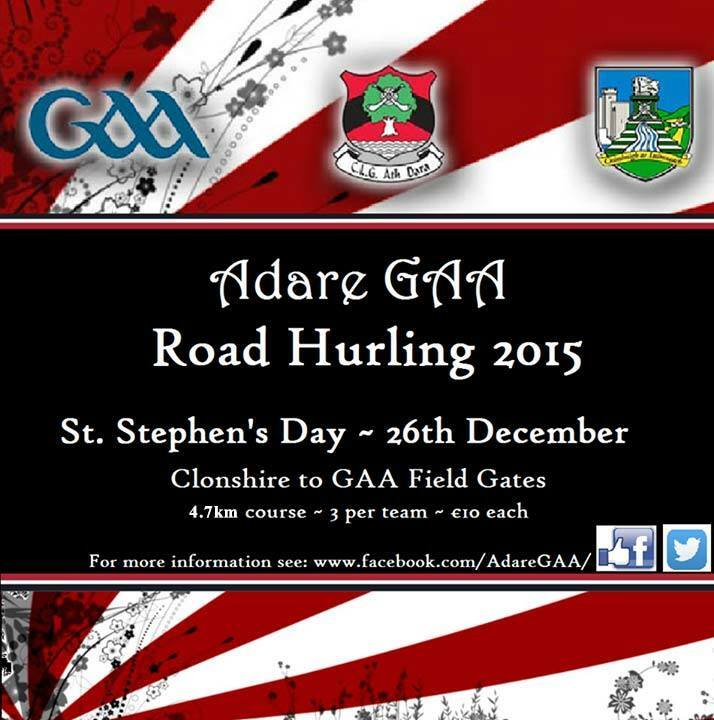 Come and join in our annual road hurling challenge! See who can puck a sliotar from the gates of Clonshire to our pitch and over the bar in the least amount of pucks. 3 per team, €10 per person. For more information contact Andy O'Connell on 085 227 9359.